Last week, the Argentine campaign group Grandmothers of the Plaza de Mayo announced via Twitter that they had found Grandchild #118. He was identified as the grandson of one of the group’s co-founders, Delia Giovanola. Martín is the son of disappeared activists Jorge Oscar Ogando and Stella Maris Montesano, who were kidnapped in 1976, at the beginning of the military dictatorship. Their bodies have never been found. 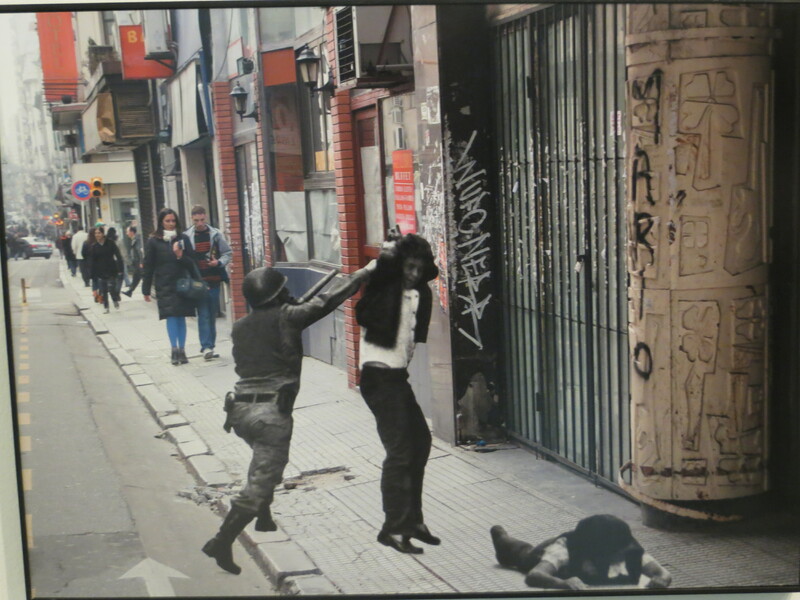 Between 1976 and 1983, Argentina’s military dictatorship forced society into silence through a “war against subversion” by arresting or kidnapping dissenters, leading to the undocumented disappearances of 30,000 people. The military juntas, led by Jorge Rafael Videla until 1981 and by Roberto Viola and Leopoldo Galtieri until 1983, organized and carried out the repression of dissidents by illegal arrest, tortures, killings and or forced disappearances. Assassinations occurred domestically in Argentina via mass shootings and throwing live citizens from airplanes into the oceans below. Additionally, 12,000 prisoners, many of whom had not been convicted through legal processes, were detained in a network of 340 secret concentration camps located throughout Argentina. These individuals became “los desaparecidos”, the disappeared, as they disappeared without explanation. This would become a word that individuals would come to recognize instantly, even if they spoke no Spanish. The military junta was ruthless and violent. Some of the kidnapped also included pregnant women. Pregnant captives were kept alive long enough to give birth. Their children, about 500 of them, were stolen and given to supporters of the military regime deemed “politically acceptable”. 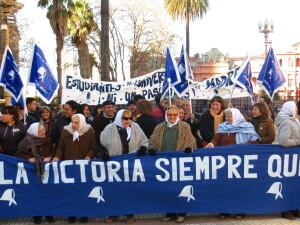 As a result, two Argentine rights groups came into being in 1977: Las Madres de Plaza de Mayo and Las Abuelas de Plaza de Mayo. 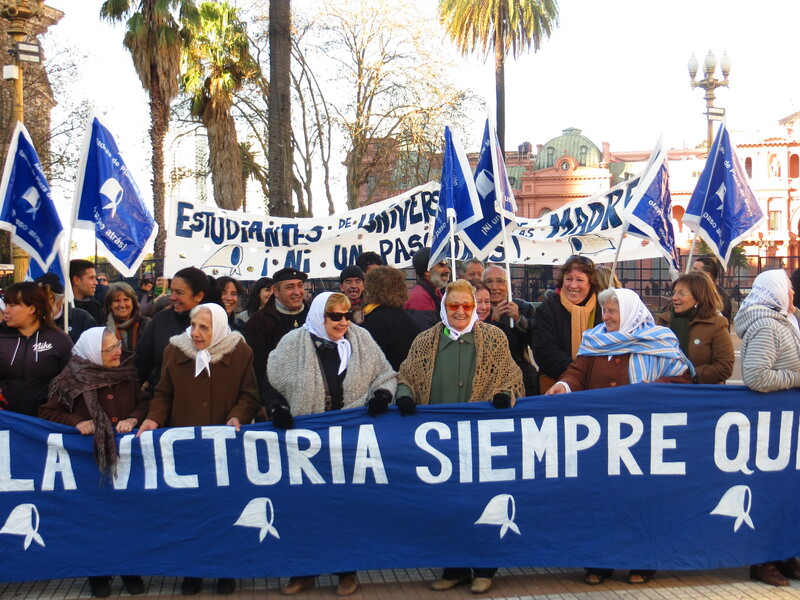 Every Thursday at 3pm they marched around Buenos Aires’ main plaza, Plaza de Mayo, demanding to know the whereabouts of their lost children and grandchildren. The discovery of missing grandchild #118 highlights that the story is still playing out today, 40 years later. Grandmothers are desperate to find out what happened to their children and to find grandchildren stolen at birth. Forensic genetics has played a key role to shaping the grandmother’s search for their relatives. Since 1984, Argentina has been a pioneer in regards to using advances in DNA to reunite grandchildren with their grandparents. As cited in The New York Times, “Roughly 10,000 young adults (babies snatched during the dirty war are typically now in their mid- to late 30s) have had themselves tested for possible matches”. These advances have not only lead to matching, but have also served as evidence to convict the generals responsible for the perpetuation of the regime. The Trial of the Juntas was established as a policy response to the atrocities committed throughout the 1976-1983 dictatorship. These first prosecutions took place in 1985. These procedures were unique for many reasons but most predominantly because they used a combination of distinctive transitional justice mechanisms such as trials, truth commissions and the revocation of the amnesty law. The trial or El Juicio a las Juntas, as commonly known in Argentina, lasted almost an entire year in 1985 and was attended by large numbers of members of the public and the press, and produced a vast historical record. The Courts have also succeeded in bringing accountability to those accused. The prosecution in national courts based on the evidence collected through CONADEP (the National Commission on the Disappearance of Persons) led to the conviction of five of the nine Junta leaders. Ex-President General Jorge Rafael Videla and former head of navy Admiral Emilio Eduardo Massera were sentenced to life in prison while the last three leaders were sentenced to between four and a half and seventeen years in prison. This conviction could not have been accomplished without the dedication of the Abuelas de la Plaza de Mayo and the Madres de la Plaza de Mayo to search for the truth. The recent news and identification of Martin as Grandchild #118 is a reminder of a dark, but not so distant past for the country of Argentina. The discovery however comes too late for his sister Virgina, who always sought her missing brother. She took her life in 2011 saying she hoped to join her disappeared parents. In Buenos Aires this week, Mrs. Giovanola spoke at a press conference saying that “I’m happy thinking that my granddaughter’s hand is behind all this”.